What does an Assisted Living Facility (ALF) mean to you? Many area facilities are licensed as a Residential Care Facility (RCF), not an ALF. This means their residents who can no longer make independent transfers or negotiate a path to safety unassisted in a set time are not eligible to continue their stay. As an ALF, Shelbina Villa is able to care for residents who require a two-person transfer and we will be able to assist those who cannot make it to the fire exit. Shelbina has an increased staffing ratio based on the needs of our residents to provide these additional services. We can help as much or as little as needed. As an ALF, the difference between the care we offer at Shelbina Villa versus a nursing home is greatly minimized. Visit the Assisted Living tab on this website for a definition of what the Villa can offer. Shelbina Villa accepts private pay, long-term care insurance and Medicaid. Negotiated rates are available for those who do not fit into these categories. Visit the Assisted Living tab on this website for room rates and pricing. 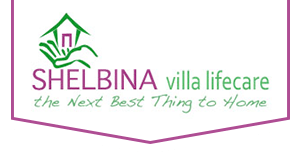 What makes Shelbina Villa different than other area choices? Come visit us, enjoy a meal, take a tour and the answer will become clear. We want residents to enjoy life and live it to the fullest, and that is what is in the air at the Villa. Call Kim Thompson, Administrator today for a tour at 573-588-4115.